A new study led by Vanderbilt-Ingram Cancer Center (VICC) investigators found that low-income residents in those socioeconomically disadvantaged neighborhoods died much earlier than the average American. 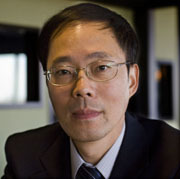 The study, led by Wei Zheng, MD, PhD, MPH, Anne Potter Wilson Professor of Medicine and director of the Vanderbilt Epidemiology Center, was published in the American Journal of Preventive Medicine. The research analyzed data obtained from nearly 78,000 middle-age and elderly adults who were participants in the Southern Community Cohort Study (SCCS), a long-term epidemiologic study led by William Blot, PhD, research professor of Medicine, and Zheng. The SCCS enrolled study participants mostly through community health centers serving low-income populations in 12 Southeastern states. More than half of the participants had an annual household income of less than $15,000 at the time of enrollment between 2002–2009, and 65 percent are African-American. The majority of participants also had a low level of education. “This is the first study to evaluate the combined influence of neighborhood environment and individual health behaviors on mortality, especially among African-American or other disadvantaged populations,” said Shaneda Warren Andersen, PhD, assistant professor of Medicine and first author of the study. Investigators grouped the participants into cohorts from the least socioeconomically disadvantaged to the most disadvantaged. They also tracked each participant’s health behaviors, including smoking, alcohol consumption, physical activity, quality of diet and other lifestyle variables. Based on these factors, the investigators determined each participant’s healthy lifestyle score. Male participants living in the most deprived neighborhoods had an approximately 40 percent higher risk of death than their counterparts living in the least deprived neighborhoods. The association between a disadvantaged socioeconomic neighborhood environment and mortality was even stronger among women than men, with a nearly 80 percent elevated risk of death found among women living in the most deprived neighborhoods compared with those living in the least deprived neighborhoods. Living in a deprived neighborhood had a greater adverse impact on mortality from cardiovascular disease and other illnesses, including diabetes, than cancer. Individuals living in the most deprived neighborhoods were more likely to be current smokers, heavy drinkers, physically inactive and had poorer diet quality scores. The study found that participants could reduce their own premature death risk by maintaining a healthier lifestyle. The adoption of healthy behaviors had a positive impact on death risk regardless of whether the individual lived in a high or low socioeconomic neighborhood. The authors recommended that health policies and interventions be implemented to improve socioeconomic position in disadvantaged communities, such as programs to improve high school graduation rates, decrease community-level unemployment rates and move residents out of poverty. They also noted that interventions designed to encourage healthier lifestyle habits could have a positive impact on mortality risk for individuals living in all neighborhoods, especially the most deprived neighborhoods. Funding for the study was provided by the National Institutes of Health (NIH), and the National Cancer Institute (NCI), (R01 CA92447, U01CA202979, K99 CA207848, R25 CA160056). Other investigators include Xiao Ou Shu, MD, PhD, MPH, Vanderbilt; William Blot, PhD, Jennifer Sonderman, MHS, and Mark Steinwandel, BBA, International Epidemiology Field Station, Vanderbilt Institute for Clinical and Translational Research, Rockville, Maryland; and Margaret Hargreaves, PhD, Meharry Medical College, Nashville.